Attitude will only get you so far – you need skills to stay motivated. When people talk about motivation we hear a lot about some people having motivation and others not having it. Having a positive, motivated attitude is good, but that will only take you so far. To get motivated and stay motivated you need some skills and these are abilities you can learn. Research suggests that simply wanting something is not enough; you need to develop the skills needed to make those dreams a reality. 1. Self-motivated people challenge themselves. People who are high in motivation have learned how to learn new things. To them, a new situation is a challenge they know they can overcome because whatever information is needed they believe they can acquire it. Self-motivated people seek out these challenges because they have the belief that if they try something they can accomplish it. This belief is built up over time by trying small things and being successful at them. Self-motivated people may like applause or recognition from others, they may enjoy the money or recognition that comes their way, but they also are extremely pleased when they are able to do something that they have set out to accomplish. 2. Motivated people make a consistent effort. Sprints won’t win any distance races and life is essentially a long distance race. 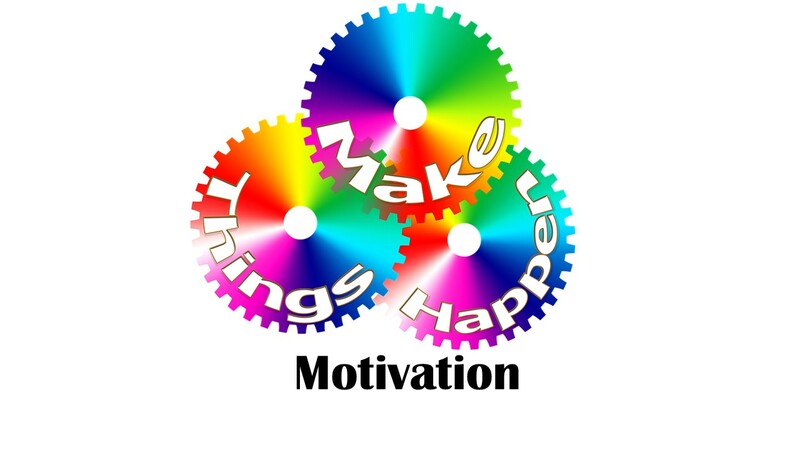 Being highly motivated one day and getting a lot done pales next to the person who day in and day out does a little of what is needed to get the task done. Lots of people start new projects, new businesses, school or relationships, but they fail because they think that you can do it all in the beginning and then no more effort will be required. To be successful you need to keep doing a little or more every day, whether you feel motivated or not. Do some work on your goal and it will produce motivation, not the other way round. Every writer hears the way to write is to sit with your rear in the chair and pound some keys. Eventually, you will get something done. The rest of life is like that also. Do a little each day and watch the results add up. Enough time for that great achievement will never come. Big projects get done one step at a time. Motivated people create a time budget just as they create a money budget. Each day includes some time for working on reaching your goal. Don’t wait till you have extra time to write that book or start that business. Begin doing the footwork now. If all you have is thirty minutes a day, spend that on moving towards your goals and see what progress you can make. 4. Have a plan to reach your goal. Great achievements rarely happen by accident. Yes, motivated people can make good use of opportunities when they appear, but they recognize those opportunities because they are already on the path to their goal. Any achievement becomes more probable when you can break the task up into small steps and work on a little step each day. Make a plan and keep on the path towards your goal. 5. Continue to monitor your progress towards your goal. If you follow a bad map you can get really lost. Some of us created plans for our lives and left steps out. This does not mean your life needs to be a failure. Any good plan needs frequent monitoring and revision. Keep an eye on the goal but keep checking your map to make sure you are headed in the right direction. Work on these five skills and you will become a lot more motivated and can keep that motivation strong over the long course of life. This entry was posted in Motivation and tagged Behavioral Health, Counseling, feelings emotions, memory, Mental illness, motivation, self-esteem by David Joel Miller. Bookmark the permalink.